We are excited to announce that HotForex recently won the prestigious title of ‘Best Client Fund Protection 2015’ at the 14th MENA Forex Show in Dubai! 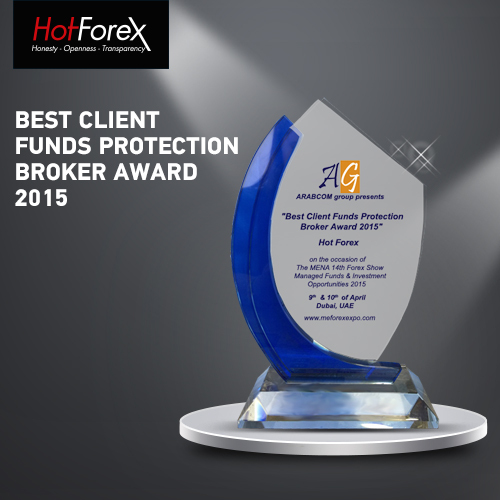 This is not the first time that HotForex's commitment to ensuring the security of client funds has been recognised and this award comes just a few months after HotForex was awarded ‘Best Client Fund Security'. We would like to thank our dedicated staff and loyal clients for their support.